University of Iowa student Mollie Tibbetts has been missing from Brooklyn, Iowa, since July 18, 2018. 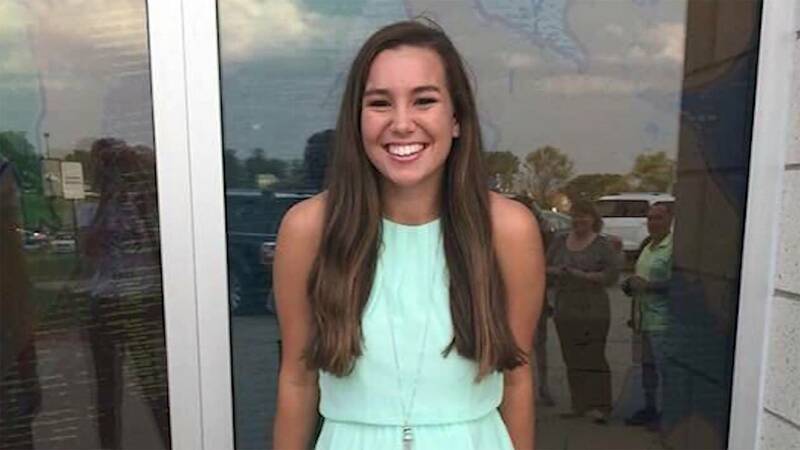 BROOKLYN, Iowa - The body of missing college student Mollie Tibbetts is believed to have been found. Authorities report the body was found in Iowa, where the 20-year-old went missing in mid-July. Greg Willey, the vice president of Crime Stoppers of Central Iowa, said a body found Tuesday is believed to be Tibbetts. No information has been released about where the body was found. The Iowa Division of Criminal Investigation said the body was found Tuesday morning in rural Poweshiek County, which includes Tibbetts' hometown of Brooklyn, Iowa. The University of Iowa student was last seen July 18 jogging in the town of Brooklyn around 7:30 p.m.
Tibbetts was reported missing after he boyfriend said she had not returned messages. The Iowa Division of Criminal Investigation called a 4 p.m. news conference to provide an update on the search for Tibbetts, saying investigators were working to confirm the identity of the body.